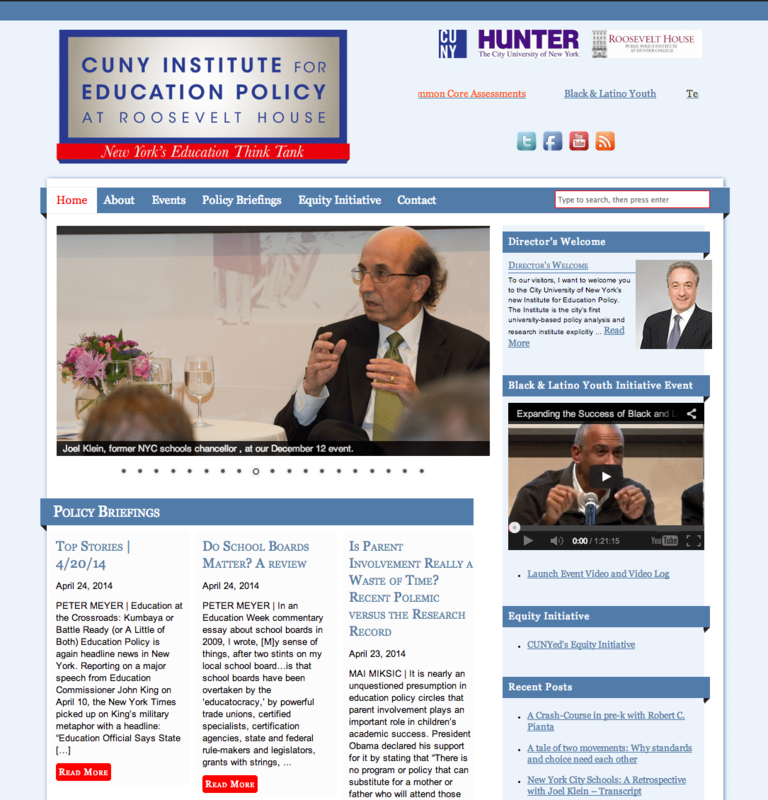 UPDATE: The CUNY Institute for Education Policy has a new design. This design is by Jesse Miksic and we worked together to implement it as a WordPress theme. If you have a design in mind, or want to convert your current website to WordPress, contact me for a quote. 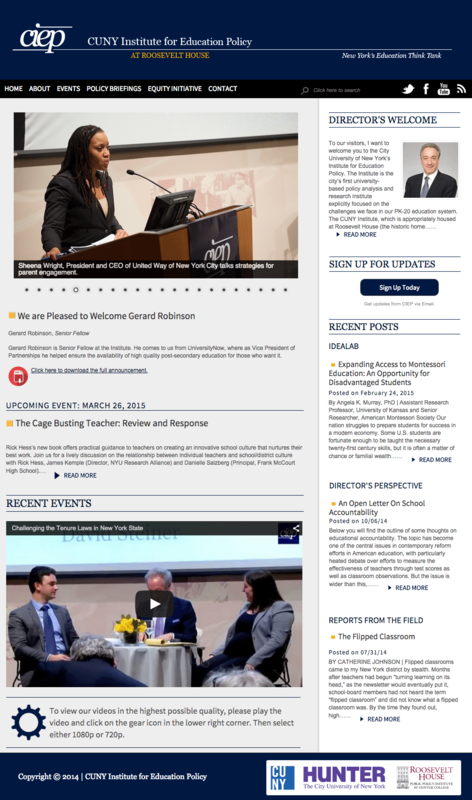 TekCeptional Solutions is proud to present the CUNY Institute for Education Policy’s new web design. It was modeled on their previous look at their request. Check out their new website here. If you are interested in a new design for your website, or want to start a new project, please feel free to contact me or check out my web design packages.